Voters across Colorado will be posed with a question on the Nov. 6 mail ballot that would reshape the oil and gas industry throughout the state. The initiative, Proposition 112, seeks to push the minimum setback requirements for new oil and gas developments back to at least 2,500 feet from occupied buildings and other vulnerable areas. 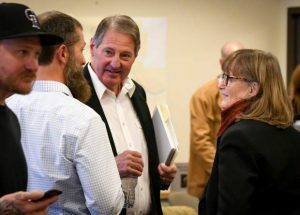 Proposition 112 has received both widespread criticism and support, with opponents, including the industry lobby, calling it a “ban on oil and gas in Colorado.” Community groups and environmental activists voice their support for an initiative they say gives greater weight to public health and safety and that reins in what they say is an uncontrolled industry. Earlier this year, advocates for the proposed setback change acquired an estimated 123,000 signatures, well over the 98,492 required to put the question on the ballot, as environmental advocacy organizations across the state see it as a necessary step to address health and safety concerns felt by residents across the state. Prop. 112 was debated at an oil and gas ballot forum in the western Garfield County gas patch community of Rifle on Oct. 4. There, Heidi Henkel, with Colorado Rising, a political organization that is campaigning for the initiative, said there were different reasons for the 2,500-foot setback — roughly five times the current standards in most cases. 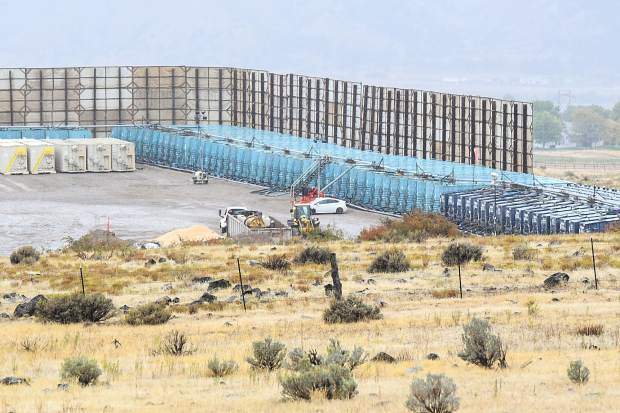 Even some supporters of stricter setbacks have said that distance may be a bit too aggressive, suggesting something closer to 1,500 feet would have been easier to swallow for voters who may be on the fence when it comes time to cast ballots. But, Henkel said that a deadly home explosion in the Front Range community of Firestone in April, 2017 that was caused by gas leaking from an uncapped abandoned gas line from a nearby well, and several similar incidents since, show the dangers of conducting such activities so close to homes and schools. Republican state Rep. Bob Rankin from Carbondale, up for reelection for the Colorado House District 57 seat, believes oil and gas regulations do not need to include greater setbacks. 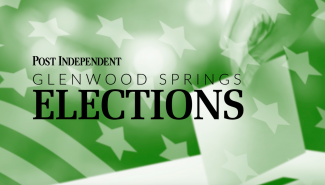 “The 2,500-foot setback would devastate the oil and gas industry,” Rankin said at an Independent Voters forum in Glenwood Springs last month. “I represent 15,000 oil wells, three big coal mines, it’s the heart of the economy I represent. “It’s easy to imagine the financial mayhem if both propositions pass … a perfect storm for a perfect mess,” she writes. Democratic candidate for governor, Congressman Jared Polis, is also opposed to Proposition 112, calling it “wrong solution for Colorado” at an industry conference speech in Denver, according to the Denver Post. Republican candidate for governor Walker Stapleton calls it an energy ban in disguise. According to a study commissioned by the American Petroleum Institute, the natural gas and oil industry supported more than 232,900 jobs, providing nearly $23.1 billion in wages and contributing nearly $31.4 billion to the state’s economy in 2015. 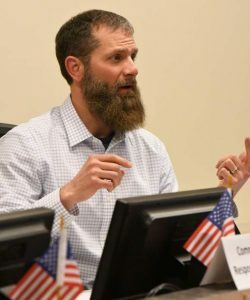 Common Sense Policy Roundtable conducted an economic analysis on the impact Proposition 112, which Colorado School of Mines Mineral & Energy Economics Program professors found to be “reasonable projections.” It found that, by 2030, over $26 billion in state GDP would be lost annually. In the first year, 43,000 jobs would be lost, according to the study. By 2030, 147,800 jobs would be lost, it concluded. A report by researchers from the Colorado School of Public Health shows harmful effects on the health of people living within half a mile of fracking operations, according to Colorado Rising. 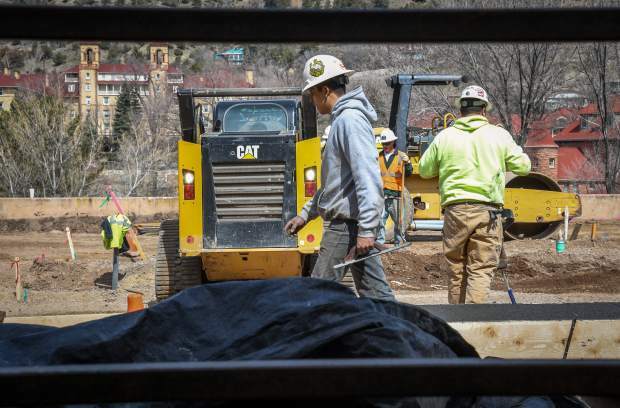 According to a COGOCC assessment, an estimated 54 percent of Colorado’s total land surface would be unavailable for new oil and gas development by adopting the 2,500-foot setbacks, and 85 percent of non-federal land would be inaccessible. 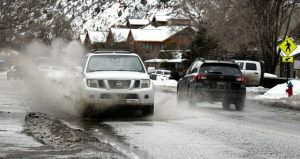 In Colorado’s top five oil and gas producing counties combined, 61 percent of the surface acreage (94 percent of non-federal land) would be unavailable, according to the COGCC assessment.